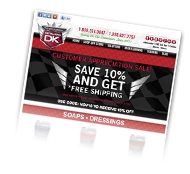 Here at Detail King we like to give auto detailers and car enthusiast all the tools necessary in a single place. 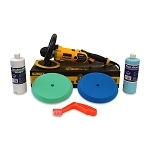 With this Flex PE14 Buffer and Edge foam pads, you will be able to perform any level of paint correction on a vehicles clear coat! 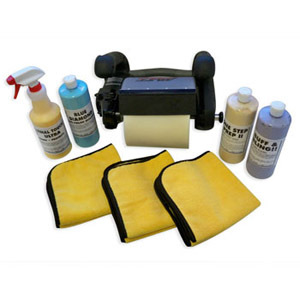 With this Flex Buffer package you will be able to perform high quality paint correction! 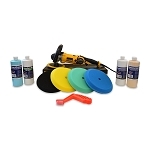 This Flex "Buff N Seal" package is perfect for enabling you to remove medium to light imperfections & scratches, along with giving the vehicle extended paint protection! 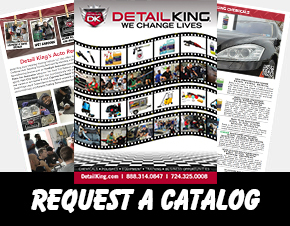 Here at Detail King we like to give auto detailers and car enthusiast all the tools necessary in a single place. 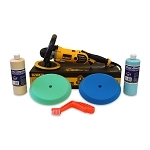 With this Makita Buffer and Edge foam pads, you will be able to perform any level of paint correction on a vehicles clear coat! 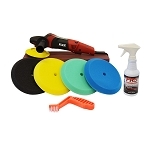 Here at Detail King we like to give auto detailers and car enthusiast all the tools necessary in a single place. 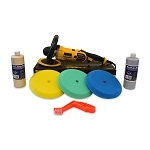 With this DeWalt DWP849X and Edge foam pads, you will be able to perform any level of paint correction on a vehicles clear coat! 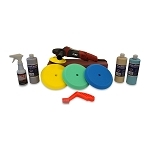 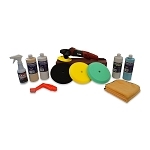 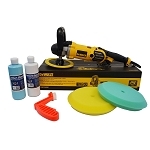 Rotary and Circular buffers and polishers were the first type of electrical buffer and remain a very popular tool for professional detailers and auto body technicians. 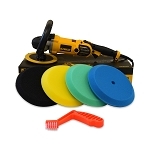 While dual-action orbital polishers are often recommended because of their ease of use, rotary high speed buffers provide the user more control over the motion of the pad compared to some of the older, less technologically advanced DA’s on the market. 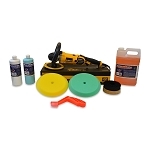 If you find yourself detailing numerous dealer auction cars or dealer trades that have “been around the block” you may find it necessary to have a rotary buffer in your arsenal of professional auto detailing tools. 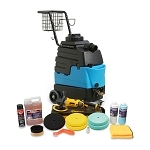 Detail King carries DeWalt, Makita and Flex variable speed rotary buffers. 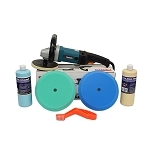 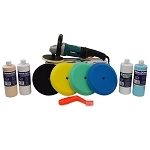 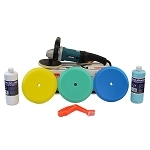 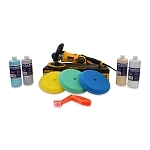 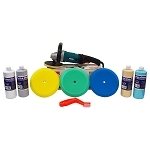 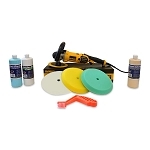 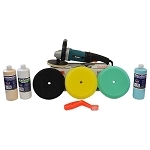 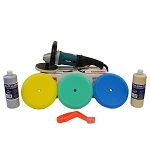 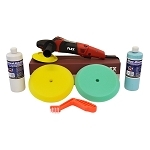 Be sure to check out our Flex Rotary Polisher and the assortment of compact buffing and polishing pads available.